It's Thursday! 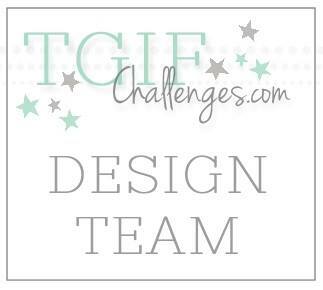 That means it is time for another Artisan Design Team Blog Hop! This week we are sharing our projects that will be featured on Stampin' Up! 's Facebook tomorrow. 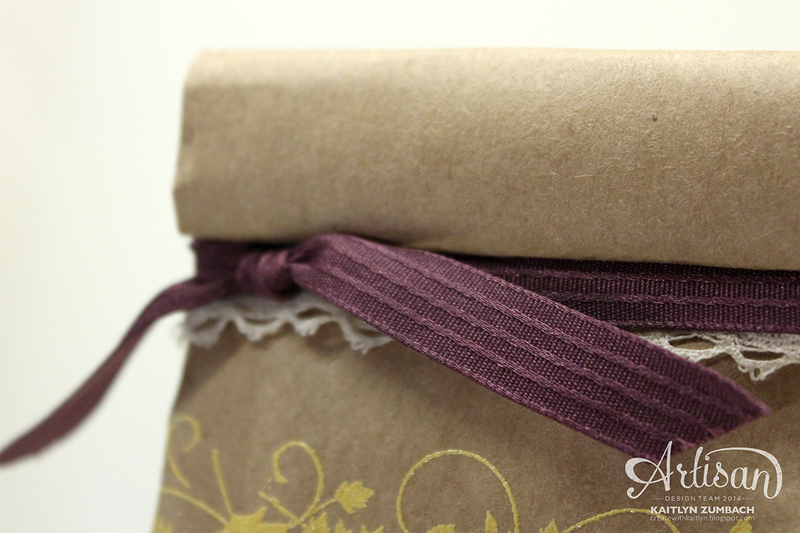 So you are getting a little sneak peek today! Remember that there are sixteen of us on the team; just hit the next button at the end of each post to visit everyone. 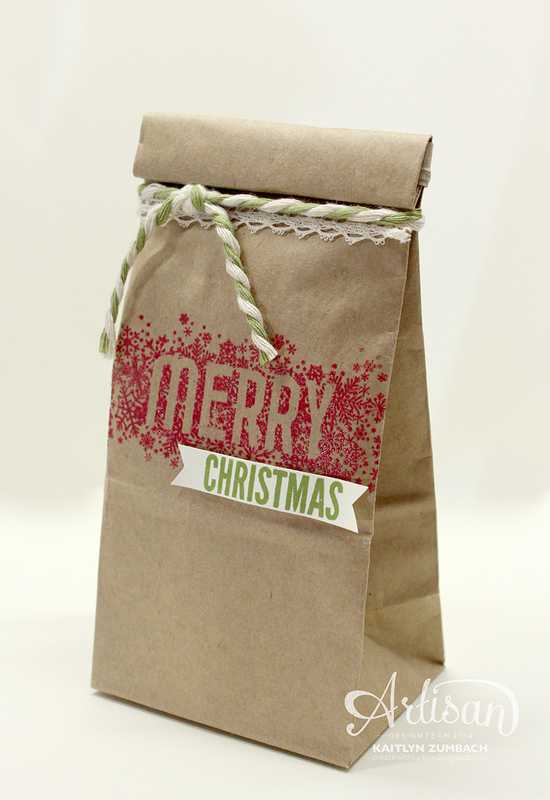 The new Petite Cafe Gift Bags are absolutely perfect for gift giving this coming holiday season! They are poly-lined, which is ideal for giving some homemade treats. I love how the images from the Seasonally Scattered stamp set fills up the front of the bag. Do you see how the image just pops off of the bag? I heat embossed the "Merry" in Cherry Cobbler, and it gives a richness and shine that just stamping doesn't provide on the darker color. The "Christmas" comes from the Merry Everything stamp set. I stamped the whole image in Old Olive and trimmed around the portion that I wanted. 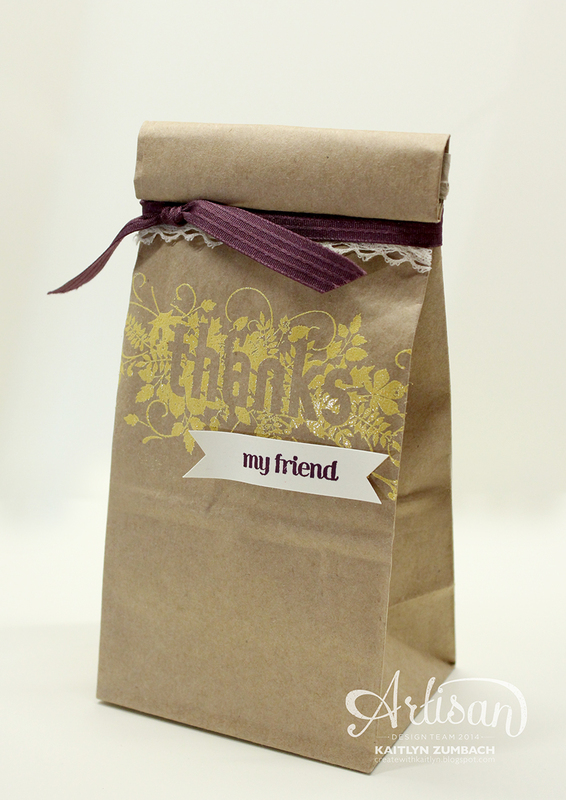 I was so pleased with the first bag, I decided to make another using the "Thanks" image. This time though, I went with more autumn-like colors by using Crushed Curry Embossing Powder paired with Blackberry Bliss. This would be a sweet gift any time of the year! Just a little bit of ribbon tied around the tops of the bags finishes them off nicely. I am loving the combination of Blackberry Bliss Stitched Satin Ribbon with the Venetian Crochet Trim. It is such a pretty and elegant look. 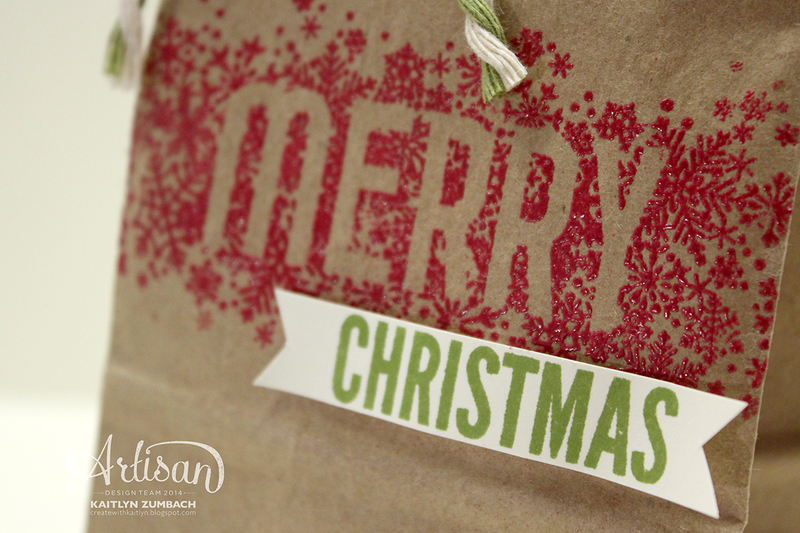 How would you decorate these gift bags? 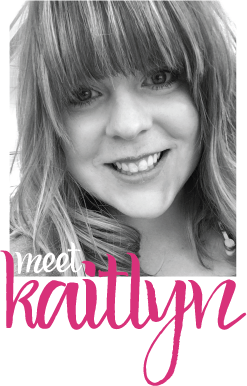 Don't forget to hit the next button below to head on over to Kate's blog! Great idea to emboss the bags! Love these! So simple- so striking! Love the striking deep colour the embossing gives. So fab. Love how you embossed the bags! Inspired to case!